The idea of a service oriented to college students was first raised in a study of GTA services by Dan Boyle in the year 2000. 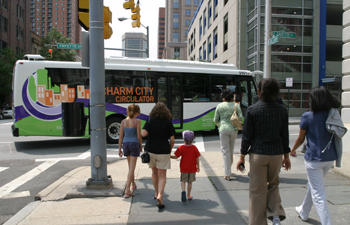 Dan Boyle & Associates, Inc. worked closely with the City of Greensboro, GTA, and the seven colleges within GTA’s service area to establish HEAT, a university pass program. To accomplish this, we established a steering committee made up of members of the City Council, high-level representatives from each college and university, NCDOT, and civic leaders in Greensboro and North Carolina to guide the process. At the same time, DBA worked with a technical committee to identify options, gauge student reaction, and develop a recommended program. DBA prepared routes and schedules for the new services, implemented in August 2006 after a lengthy period of consultation with all involved, and continues to monitor the program for GTA and to work with the university partners. In August 2011, HEAT began its sixth year of operation. A report on the first five years is available here. The most recent school year has seen a ridership increase of 37 percent, due in part to new express routes to major retail locations. Dan Boyle & Associates, Inc. developed a series of recommendations to focus service where it is most needed that will result in an annual savings of over $200,000. The package included service enhancements where needed, short-turns on the longest route in the system, and overall rationalization of service levels. DBA developed fare proposals and additional service options in the event of a more severe budget shortfall. We are working with City staff, the Transportation and Parking Committee, and the City Council to gain approval of the final proposal. 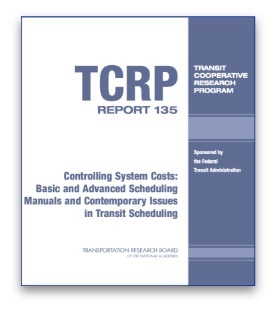 Dan Boyle and Associates, Inc. conducted this TCRP synthesis to describe the development, deployment, and sustainability of downtown circulator systems. A web-based survey of a cross-section of transit agencies in North America and detailed case studies were the primary sources in documenting the current state of the art. Major findings address funding, route design, frequency, target markets, partnerships, and branding. This synthesis will be used to aid public agencies, non-governmental organizations, and other stakeholders in deciding how to proceed when service is being considered.